Since the mid 1980s Pete Bissonette has been marshalling the hearts, minds, and spirits of millions as president of Learning Strategies. He is author of the novel Breakfast Tea & Bourbon, which is a unique novel that doubles as a treasure hunt. Woven within its pages are clues leading to a physical treasure hidden in the United States worth $50,000. In Breakfast Tea & Bourbon he shows a way to inner joy and happiness through an outer game that demands from the reader creativity, ingenuity, and resourcefulness. It's a free-spirited novel, a treasure hunt with a substantial cash prize, and a road-trippers guide to the universe. Today Pete Bissonette spends his days on marketing, publishing, and business development. He has been intimately involved with the development of every program, knows them fully, and uses them every day. 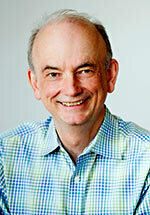 Pete Bissonette is a founding member of the Transformational Leadership Council and sits on its board. The Transformational Leadership Council was founded so leaders of personal and organizational transformation could support each other in their contributions to the world.